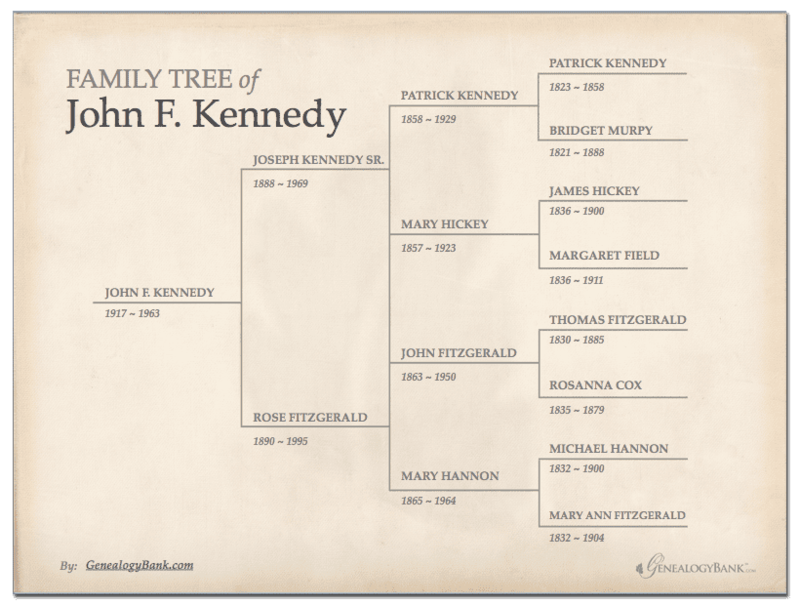 Create an artful display of your heritage with our free family tree chart template. 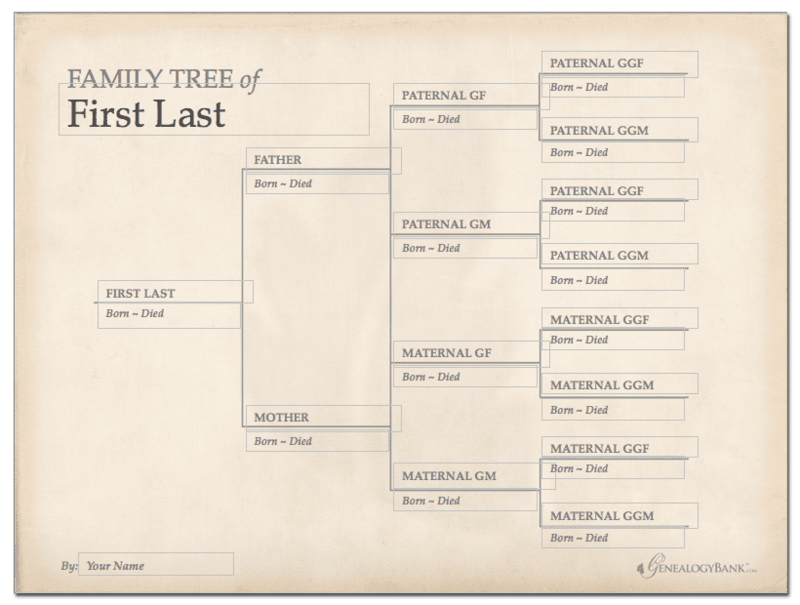 This stylish 4-generation pedigree chart has editable text fields so that you can easily populate it with your own ancestral lines. It is really simple to make your own family tree. All it takes is a little research and a free editable family tree template to start tracking your ancestors. Now it’s time for you to create a family tree. When starting we recommend you contact as many relatives as possible and let them know about your project. Family members will be eager to help identify the family lineage if there are any unknown time periods. Your genealogical tree may need outside resources the farther back you go. Genealogist Tip: Ask yourself, what was happening in America during this time in history? Did we have any war veterans or political figures tied to our name? These are all important questions to answer when preparing your family tree maker templates. While gathering your family history information use our blank family tree templates and to keep track of people and dates. Our family tree template is also printable so that when you are finished filling out the editable form fields you can print it out onto high-quality paper and adorn it with a frame to showcase your own ancestry or to give as a personalized family tree gift. To get started simply click the link below to download. Note that you must have Microsoft PowerPoint installed on your computer. You are welcome to share our ancestry chart on your blog or website if you wish. Please use the embed code below and notify us via our contact form where you have added our template. 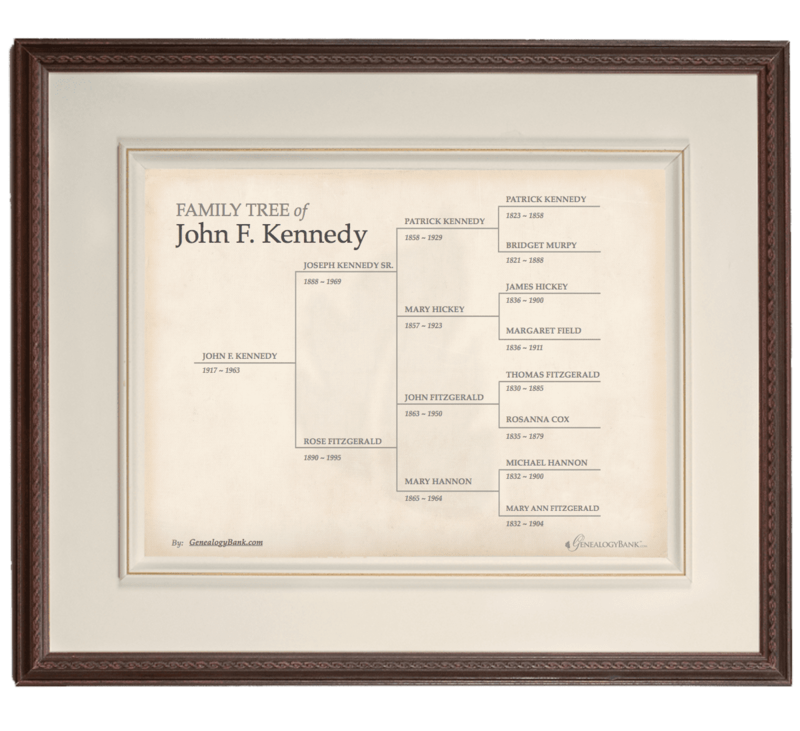 These blank family tree templates make it easy for you to preserve your family lineage. Your heritage should be treasured. Not only does it build the connection between generations, but it also is the foundation that differentiates your family from the rest of the world. Honor your roots and create a family tree for everyone to enjoy.